The European pharmaceutical industry association EFPIA has published new ethical commitments on clinical trials aimed at allaying accusations that a lack of transparency on how new drugs are tested is hurting patients. Critics however are unconvinced. Speaking on Tuesday (27 August), the director of EFPIA, Richard Bergström, said the industry's new ethical commitments were aimed at preventing public health problems down the line. The commitments include improving data sharing with researchers, enhancing public access to clinical study information, sharing results with patients who participate in clinical trials, certifying producers for sharing clinical trial information and publishing clinical trial results. However, Bergström warned that full transparency would hurt the industry, which relies on protection of trade secrets to compete in Europe and across the world. "We don’t want our competitors to learn too quickly about how we go about the clinical trials. We believe that a framework which is run by the industry itself is much more likely to take care of these balances," Bergström told a panel debate organised by EFPIA in Brussels. "Maybe we have come slowly to this debate – both the regulators and the industry – but we’re doing this now. We’re opening this up, sharing much more information. This commitment is about doing that big time. Maybe we could have done this a year ago or two years ago, but nevertheless, it’s not too late," Bergström stated. The pharmaceutical industry has come under fire over recent years over lack of transparency on clinical trials. Those accusations were epitomised in a book entitled Bad Pharma by Ben Goldacre, a research fellow of epidemiology at the London School of Hygiene and Tropical Medicine, and a co-founder of the transparency campaign All Trials. 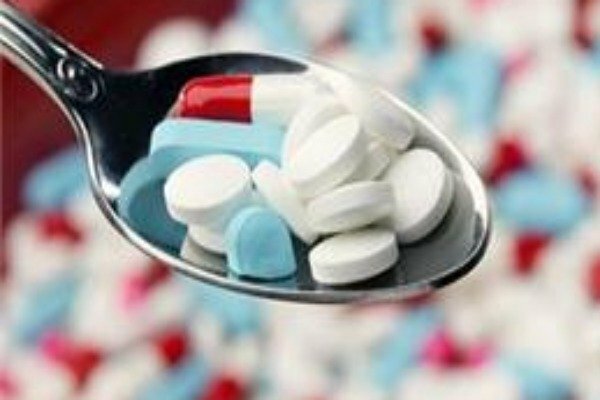 In Bad Pharma, Goldacre argues that medicines currently on the market were usually tested using techniques that exaggerate the benefits of treatment, therefore producing results that systematically favour the manufacturer. And when trials produce results that companies don't like, they are perfectly entitled to hide them from doctors and patients, so the public only ever sees a distorted picture of any drug's true effects. Speaking at the EFPIA event, Goldacre explained his grievances. "I co-founded a campaign called All Trials which now has the support of over 50,000 individuals, faculties and societies from Europe and the US. And we ask for three things: That all trials, including retrospectively, are registered so that we can see what happened, that summary results are made available and that the clinical study report is made available so that we can see exactly what was done in the trial," Goldacre said. "It’s important that we do get hold of clinical study reports because there can often be methodological shortcomings in the design of the trial which means that it’s no longer quite such a fair test, as one might think, which are glossed over in the brief reports in academic journals or a regulator website," he continued. “We don’t have any of the things that I just set out,” Goldacre said adding that presumably only around half of the clinical trials that are being done today are being registered, and positive results are twice as likely to be registered. In May, The European Parliament's environment and public health committee gave unanimous backing to proposed new EU rules on clinical trials aimed at simplifying and harmonising rules that will encourage research while keeping patients safe. Hans-Georg Eichler, senior medical officer at the European Medicines Agency (EMA), which supervises drug approvals in Europe, said that opening up clinical trial data could provide major benefits for the industry, making it a lot more efficient than it is today. According to him, the biggest risk in the regulatory debate is violation of patient confidentiality, not pharma trade secrets. "I have never heard anyone in this debate saying that we want to give our patients identities. That’s a no brainer, but how do we achieve it? It’s a technical debate that we all have to have the next year about how to address it in the best possible way," Eichler said. On transparency, Goldacre said EFPIA's new commitments didn't go far enough as they would only cover new clinical trials. "The one thing that would fix all of this is retrospective access. So we need access, I would say going back two decades to look at the error of approval for current prescribed medications. We need to go back two decades for all clinical trials for all prescribed treatments. We need them registered, we need summary results and we need an appropriately reacted clinical study report," the researcher said. "And I don’t think there’s any ethical argument against that. Patients are harmed if we fail to do this," Goldacre stressed. Susanna Palkonen, vice president of the European Patient's Forum, agreed saying it is vital that both clinicians and patients have access to all relevant information to make informed decisions about the drugs they use. But the directive has been heavily criticised by researchers who say insurance costs and red tape has piled up without bringing any major benefit to patients or the industry. The European Commission has therefore proposed revamping the directive to address those challenges. 8 Oct.: Clinical trials directive vote in the European Parliament (indicative date, first reading). a few things not quite right here. I think you mean publication: the evidence shows that the chances of trials on the medicines we use today being published are 50/50, from reviews, and positive results are twice as likely to be published. Compliance with registration policies and legislation also separately continues to be poor, and poorly audited. Also, I don’t say in Bad Pharma that trials are usually badly designed. They often are, different flaws affect different treatments and trials in different ways.